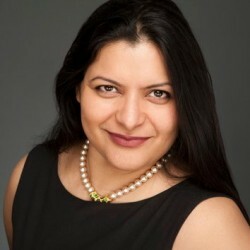 She specialises in language training for both work-related and academic purposes and has an in-depth knowledge of the Sloan Masters in Leadership and Strategy Programme at London Business School. In addition, Namita has, for over a decade, prepared students for admission to some of the top universities in the world, by providing TOEFL, IELTS and GMAT training to future Sloan, MBA and EMBA candidates. She has maintained long-standing relationships with her clients who hail from all industries including banking, telecommunications and energy. Her mission is for her clients to get the most out of their experience at Interlanguage and realise that there is so much more to living abroad than just speaking the language. This entry was posted on Friday, January 17th, 2014 at 1:08 pm and is filed under Professors . You can follow any responses to this entry through the RSS 2.0 feed . You can skip to the end and leave a response. Pinging is currently not allowed.